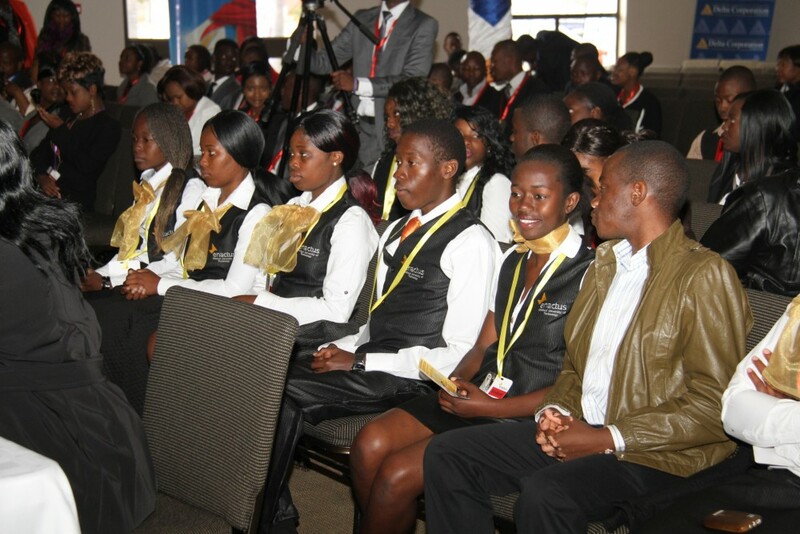 Our 24th national competition takes us to Celebration Centre in Harare for the Enactus Zimbabwe National Competition. Over 500 people attended the 4 July event that was sponsored by a long list of impressive companies: KPMG, CABS, TelOne, Unilever, TSL Limited, Total Pearlsard Travel, Dairibord Holdings, and Delta Corporation. In an effort to connect the students and businesses in attendance and provide an opportunity for shared learning, they invited both teams and companies to set up booths to showcase their work. For the teams, it was a chance to celebrate the projects they had worked so hard on over the past year and to promote the products and outcomes of that work. For the companies, it was an opportunity to share more about their products and services, culture and career opportunities for the students. Overall, it was a unique and informative networking session enjoyed by all. Students and executives had another chance to connect at the Top to Future-Top Forum where the discussion kicked off with a speech from Lydia Tanyanyiwa, Managing Director at Minerva Risk Solutions, who spoke about ensuring sustainability for non-profit organizations. The opportunity for learning continued with a keynote address by George Guvamatanga, Managing Director at Barclays Bank Zimbabwe who discussed the role of young people in the economic revival of the nation, an inspiring and empowering speech that resonated with delegates. The competition began with eight teams in the opening round who presented their work to 38 judges. 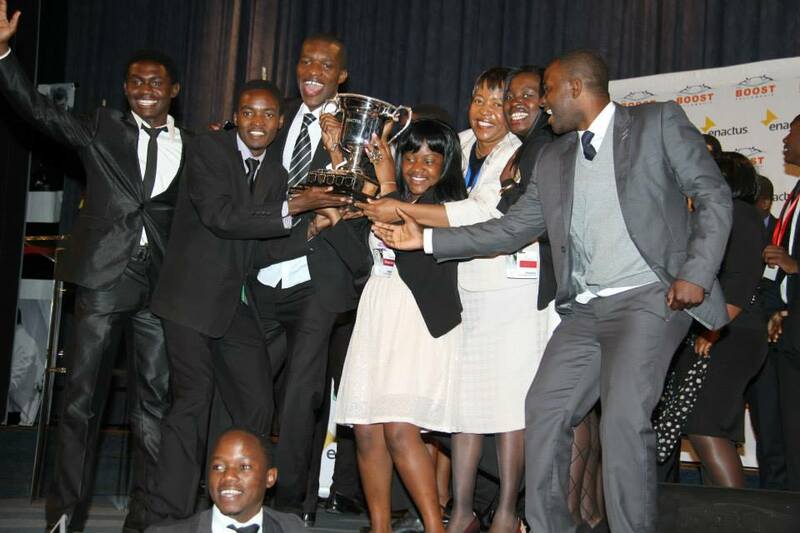 The final four teams were selected and had the chance to be evaluated by 27 senior executives who named the University of Zimbabwe as the 2014 National Champions. 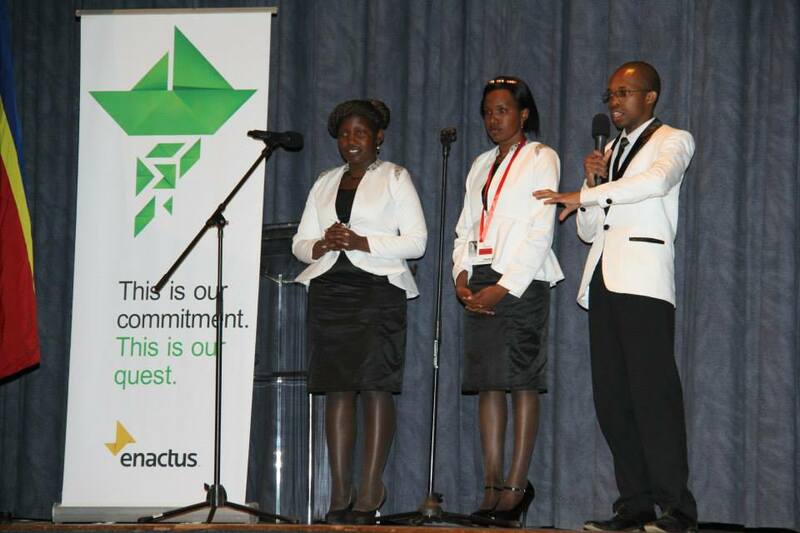 This is the fourth time the team will represent Zimbabwe at the Enactus World Cup, and in 2005, they were the team that won the first World Cup for an African country. Judges were impressed with their body of work including Agrilink, which works to create economic opportunities for unemployed youth while addressing food security and nutrition, employment creation and education through agriculture-based programs. In a three-phased approach, participants learn about and participate in mushroom farming, fish farming and market gardening, an experience that empowers them to explore a new industry while giving them skills they can use in their daily life. Pom poms out for Enactus Africa University at the @Enactus Zim Nationals today! Show em what we made of guys!! Go team! !